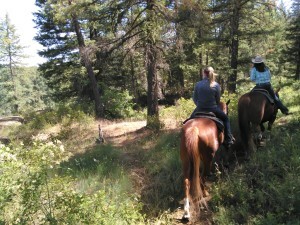 Venture into the Idaho wilderness with gentle cowboy-trained quarter horses. 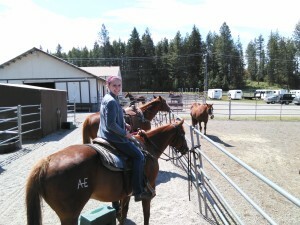 We offer the best in horseback riding Coeur d’Alene! 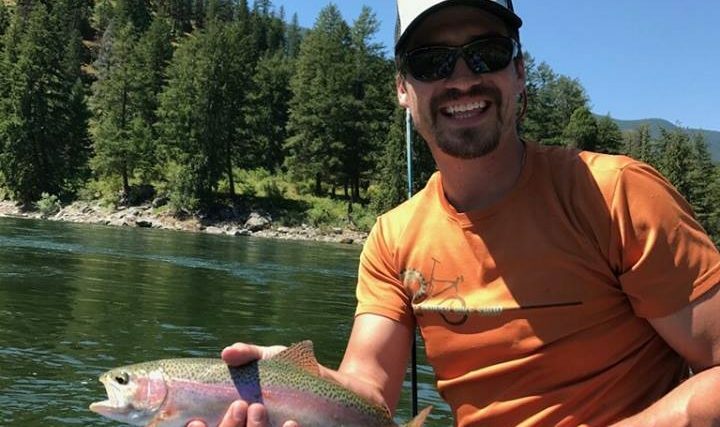 Guided by a professional wrangler, you’ll explore trails surrounded by ponderosa pines, and venture into Coeur d’Alene’s backyard. 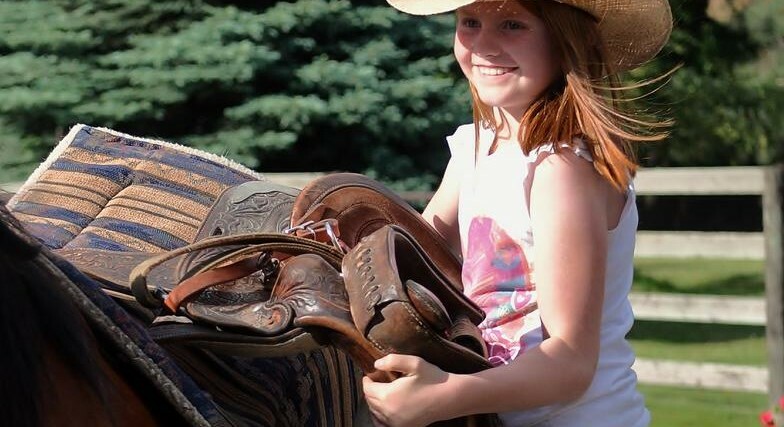 Our equipment will make your ride as comfortable as can be. So saddle-up and take a trek into the Idaho wilderness on a private 700 acres, the way it was done for many years. This activity is done for the season! 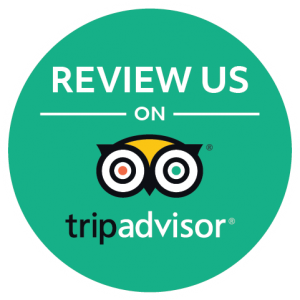 Please contact us again in May! 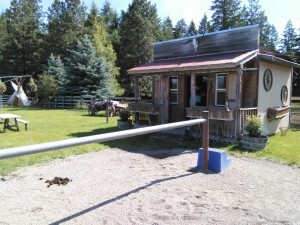 Both trips last 60-90 minutes (depending on how peppy the horses are that day) and are guided on a private 700 acres 25 minutes north of Coeur d’Alene. Weight limit is 250 lbs and participants must be 8 years of age. 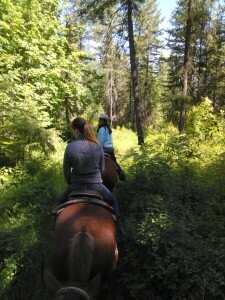 Join us for a great trail ride and the best in Horseback Riding Coeur d’Alene! 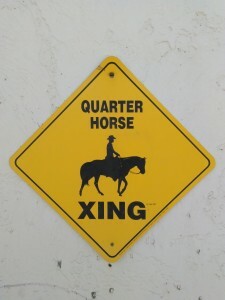 Participants must be able to mount a horse and independently ride safely. Trip Details: Please wear closed toe shoes and comfortable pants. Optional: Bring a hat to wear for the sun? Helmets are not optional for minors/children under age 16. You may request to wear one if you wish. Our quarter horses are loved and spoiled. Please arrive 10-15 minutes before departure, trip leaves on time. No refunds for late arrivals. The trip will take an hour to an hour and a half. Horses are not strung together. 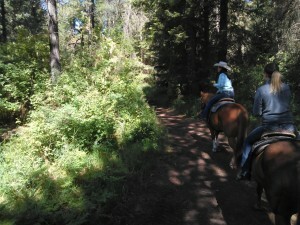 Riders ride independently behind one another through the property on a well maintained trail loop. 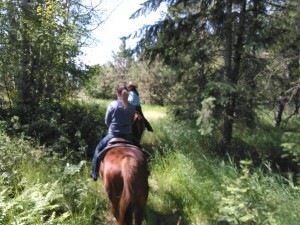 Your guide will do a short orientation for you with your horse. 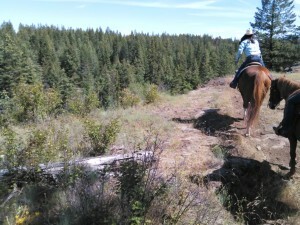 The trail features gentle rolling slopes, great views, and a meander through North Idaho forest cover. 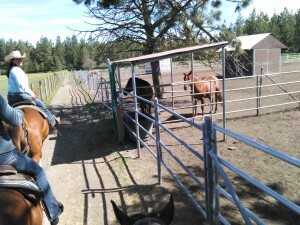 The trail loops away and then back to the stables. 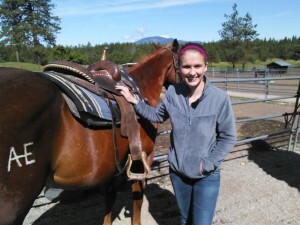 90 minutes is just about the right length of time to be on a horse when you are not used to it! Customers sometimes see elk, deer, moose, a variety of birds, and forest wildlife. Enjoy! Place a reservation date request below. We will check for availability. CANCELLATION POLICY: We require a two week notice for full refund cancellations. A 15% business charge will be deducted from deposit for cancellations under two weeks. No refunds for 48 hour cancellations. We reserve the right to cancel trips with full refund due to weather, horse health, or insufficient guests. Same day reservation/cancel is subject to 5% credit card fee with holding.